WSSP.edu.pl / Prospective Students / Why choose Us? 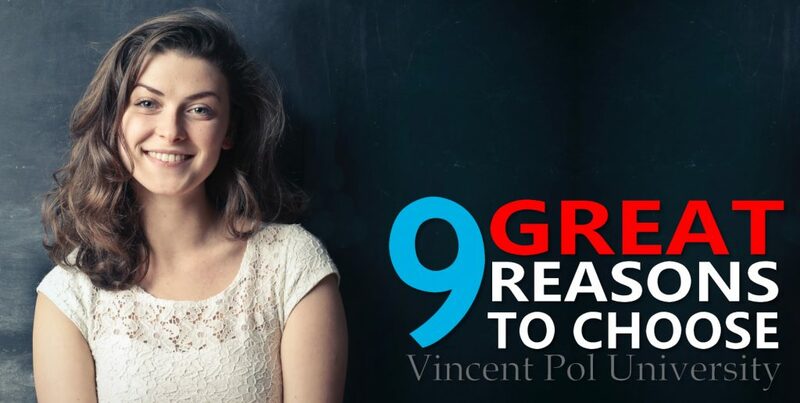 VPU is approved by the Polish Ministry of Science and Higher Education to award Bachelor’s and Master’s degrees recognized across the European Union, and recognized globally by extension. Our university participates in Reliable Company Program, which recommends to cooperate only with Reliable Companies. It means that we have the certificate confirming our reliability, credibility and punctuality. You do not have to spend a fortune on your tuition fees, and still can get good quality of education. VPU fees are competitive, and Lublin is one of the least expensive places to live in Poland, or even in Europe. Despite the low cost you will get a high level of academic and professional support, and modern university facilities. VPU is situated close to the city centre, and is easily accessible by public transport or by car. It helps you get on time from/to any place in Lublin. Lublin is located in the eastern Poland, 170 km south of the capital city Warsaw, connected by high speed train links. Lublin Airport has direct flights to several major cities in Europe. As an international student, you can choose from six degree programmes conducted entirely in English, including physiotherapy, beauty science, tourism and hospitality management, international business studies, public health, and sport science. International Admissions Office is here for you to assist you in all issues related to your studies. The Office strives to provide a professional and efficient service for the students and deliver good value for the University. VPU is a fast-developing, student-focused University which offers you an opportunity to expand your abilities, gain knowledge and get involved in academic life. After hours you can spend your time in numerous affordable restaurants, bars, music clubs and other leisure and sport facilities. What is more, there are numerous events organized by and for foreign students. We guarantee the accommodation for our students, who can choose housing types, ranging from small, medium and big dormitories, to private flats. All the lectures and classes are conducted in small groups. Such a small class environment will give you a much greater opportunity to participate actively in the classes, ask questions, and have a more direct contact with academic teachers.